Where do you go when you want to learn about live music in Hamilton? In the past, you probably would have searched for a copy of View Magazine, or maybe scoured the pages of the Spectator for the latest Graham Rockingham review. But that was then and this is now, and now there’s a website for that. It’s called “Hamilton City of Music”. 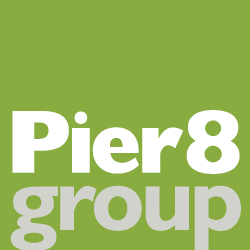 The new site, created here at Pier 8 Group, is the brainchild of the Hamilton Music Industry Working Committee, a group of dedicated volunteers who have been working with the City government over the past four years to raise the profile of Hamilton musicians, music organizations and music-related businesses. The website was a key recommendation in the marketing plan that Pier 8 Group prepared for the City of Hamilton last year, as part of a “music city” branding and marketing project. While not intended to be a music portal, the site incorporates a lot of features you wouldn’t expect to find, even on the music websites of cities like Nashville, Seattle, Austin or Toronto. Features like a BLOG that keeps you up-to-date on the latest happenings in the local music scene. Or the fully-searchable DIRECTORY of musicians, music organizations and music-related businesses. Plus EVENT LISTINGS for upcoming concerts and performances at clubs, bars and other music venues around the town. But the real show-stopper is the PLAYLIST page that showcases music videos produced by Hamilton artists and bands representing almost every musical genre. These videos are, in a word, fantastic! And we’re not just talking about the big-name groups. The videos that truly amaze are the ones from artists and groups that most of us have never even heard of. Trust me when I say, you’ll be blown away by the local musical talent that’s just waiting to be discovered. UPDATE – SEPT. 2018 – The City of Music website has now been redirected to the City of Hamilton’s tourism website, as part of a realignment of the City’s music strategy.